My herb garden has outdone itself and I'm challenging my 'real' garden to produce half as well. 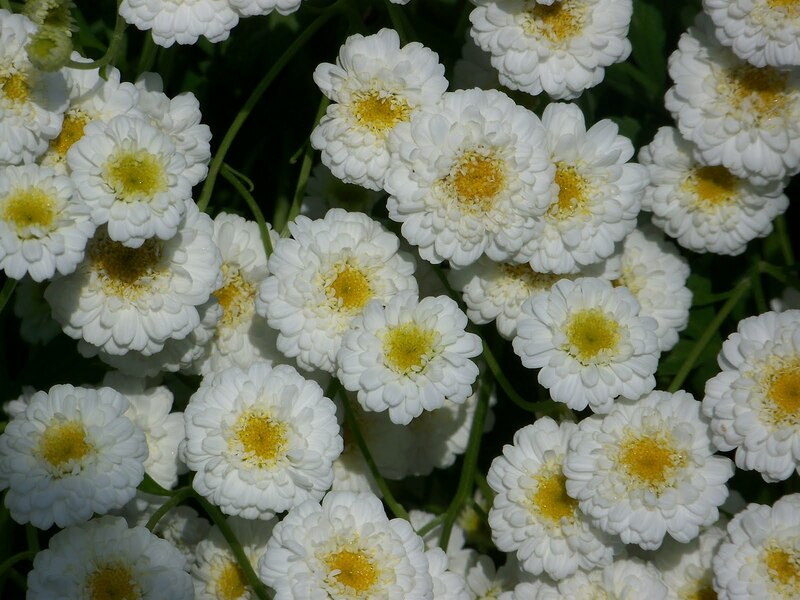 This photo is of the blooms on my feverfew plant. They are comparable to mini mums.